St. Louis, Missouri – Euphrates Vascular (www.euphratesvascular.com), a company focused on the treatment of vascular occlusions, recently received 510(k) clearance for sale of its ICHOR Percutaneous Reperfusion System. incorporates a health economic element intended to make ICHOR a first line therapy for physicians, hospitals and office-based labs. 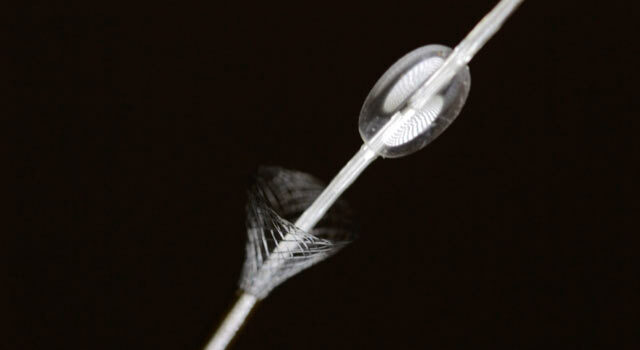 ICHOR will be the first marketable product for Euphrates Vascular with the Pulse NanoMED technology in the pipeline. The ICHOR and Pulse NanoMED systems were both designed to target vascular occlusions by eliminating the need for surgery or drug therapies and both attempt to treat further and deeper by overcoming today’s size limitations in material science. “ICHOR will be an extraordinary tool in the clot management toolbox due to its ability to handle the organized clot many physicians struggle to treat. The Pulse NanoMED system may allow for us to change our approach in treating occlusions in areas such as the lower limb, the diabetic foot and perhaps in the neurovasculature, by simply being able to access the most tortuous anatomy and the smallest vasculature. The Pulse NanoMED system can enable us to go where no other devices have gone before,” said Dr Troy Long, vascular interventional radiologist. View recent Euphrates Vascular news releases. Euphrates Vascular (www.euphratesvascular.com) is a medical device company comprised of Pulse Therapeutics and ICHOR Vascular Inc. The Euphrates Vascular vision is to become a leader in the treatment of vascular occlusions with an initial focus in the $3.5B Limb Ischemia market. The technologies will platform beyond peripheral vascular occlusions into Ischemic Stroke, Coronary, Wound Care, Dialysis, Interventional Oncology, and Orthopedic applications.